Our bus ride was eventful as we chatted with two girls from The Netherlands, a guy from Australia, a girl from the states, and another girl from Germany. They were a young crowd, college aged, and quite friendly. The Airbnb host met us at the bus station and handed us the keys to his apartment. He gave us a quick and efficient intro and sent us off. We took another metro to arrive at his place- which turned out to be in a student housing complex. The apartment was very small, just a bedroom and tiny kitchenette--a bit of a disappointment as we were excited to cook and had just bought food at the grocery store. 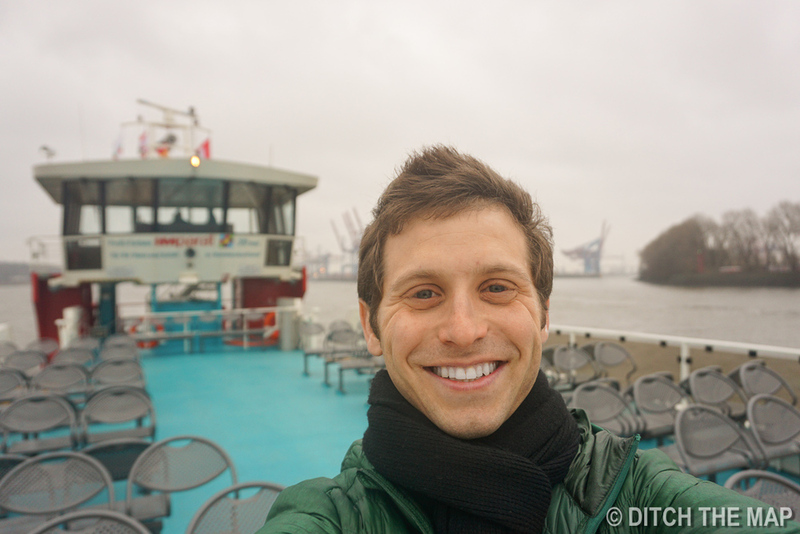 On our first full day in the city we decided to check out the harbor as Hamburg is a large port city. We caught a ferry and spent some time admiring the views from the boat. We got off of the ferry at the fish market and walked by the large building which is used to sell fresh sea food every Sunday. We continued walking and passed by Park Fiction, an urban park with some interesting structures. We walked along the water until we reached Blockbrau beer hall. We sampled their beer and a soft pretzel. Scott was a little disappointed when he had asked the waiter what type of beer the seasonal variety was and he said it was "dark". I can safely say that America really has Germany trumped on beer knowledge! We explored another area of the city, the street, Reeperbahn- Hamburg's red light district. Before heading to the notorious street we were warned by our server at the dive bar where we had coffee to "be careful" and to "watch out for the Arabs." The street was lit up with flashing neon lights and signs for dozens of strip clubs. Amongst bars we saw a store selling guns. The street was still pretty quiet at 7pm, we didn't feel unsafe, but I'm sure it attracts a certain crowd later in the evening. Many of the streets and buildings had colorful graffiti--more than just 'gang signs'. Some of art was politically motivated, but not like what we experienced in Bogata, Colombia. I was conflicted...half of me thought the graffiti added to the grungy atmosphere, but the other half thought it made the area look trashy. We took a subway to the center of the city, explore a bit, then worked out way towards the area of Hefencity--a development project that when completed will expand the downtown city area by 40%. This area sits right on the water and houses large buildings and modern architecture. One of the largest towers is comprised of apartments, condos, a shopping mall, and a concert hall. The development in total will ad 40,000 jobs and 12,000 people are expected to live there. 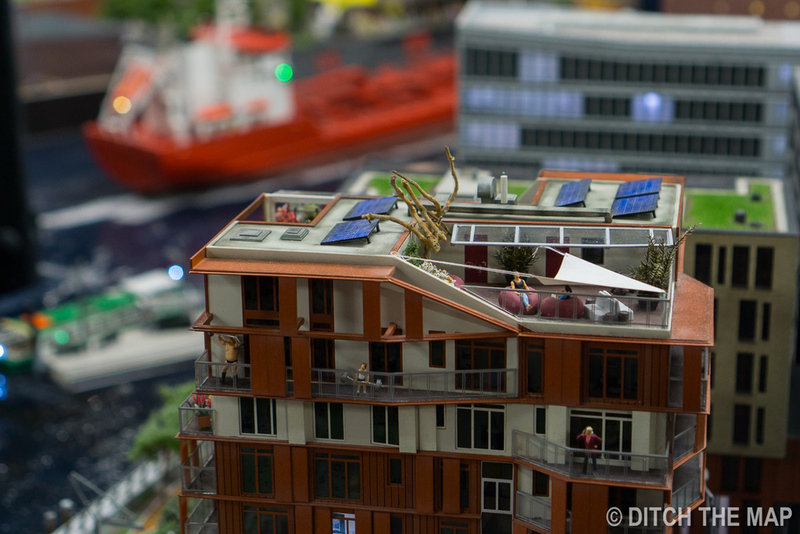 Heffencity and downtown Hamburg are split up by a narrow strip of old warehouses that have been converted. This area is known as Speicherstadt. 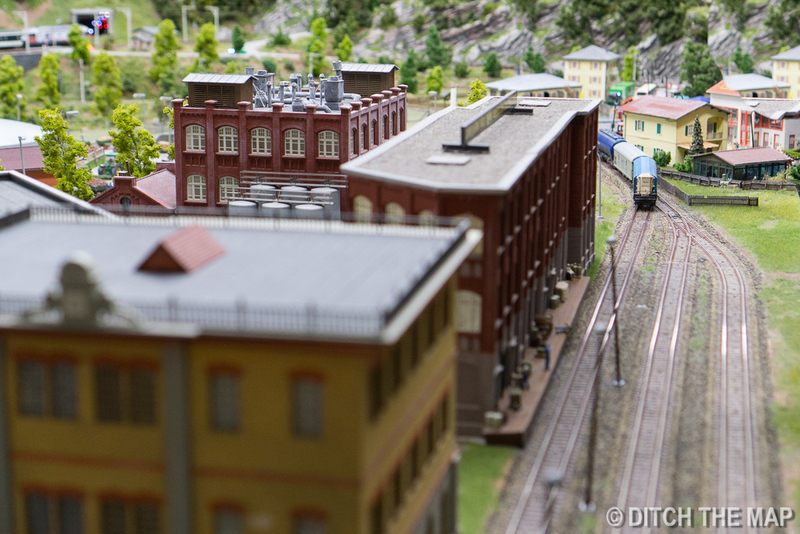 One of the buildings has been turned into a tourist attraction featuring model cities. 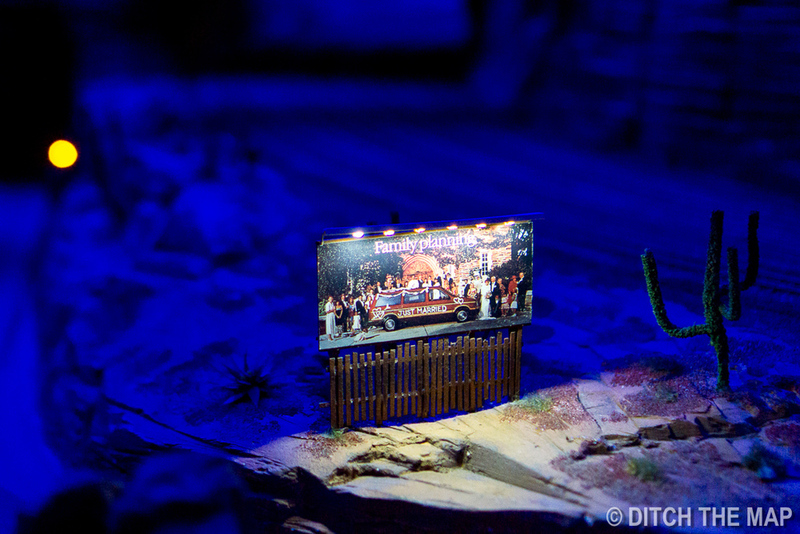 Our next destination was Miniature Wonderland. 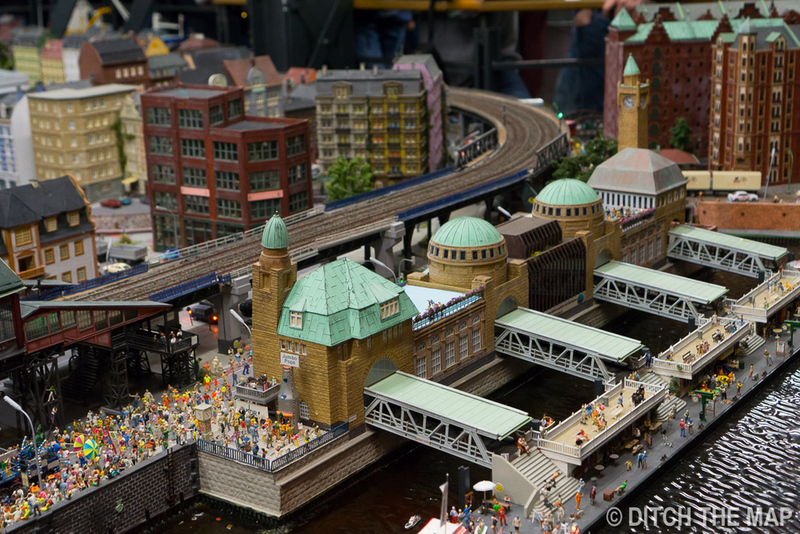 This attraction is home to mini recreations of cities in Europe and America. 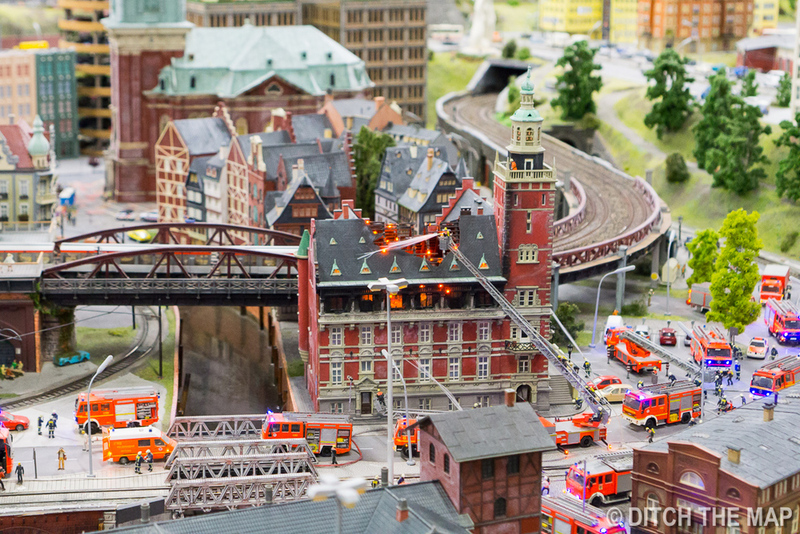 We felt like kids again as we walked through the exhibit observing the minute details of the buildings and watching the miniature trains ride through the cities. 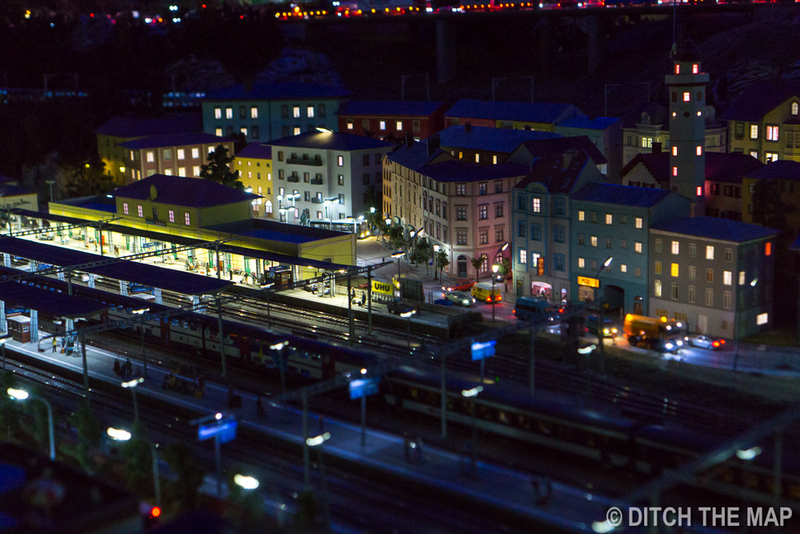 We made up narratives for the tiny little people in the cityscapes. Scott really appreciated the attention to detail. Everything was deliberate. Scott kept making up stories about the model towns we visited. We caught a 1:15pm bus to Berlin, We were riding on Meinfernbus Flixbus, a german discount bus. They also have Megabus here though. Our bus tickets were only 8 euros/per for our 3.25 hour bus ride. We've been using busradar to find transportation between destinations. Using busradar I am able to input the destination, departure, and date of travel. Then I can select to include busses, trains, and rideshares. It will then search through all buses, trains, and rideshares (i.e. bla bla car) and will display all fares with their ETAs and prices. It has saves us money and time and encourage others to use Busradar when traveling through Europe. There are a few other sites similar to this but this one is king in Europe!